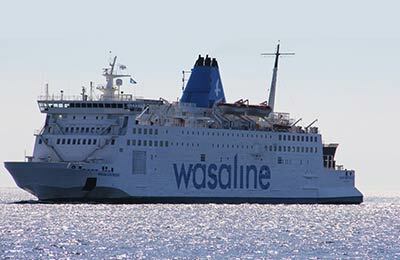 You can use AFerry to book an Wasaline ferry to Vaasa and Umeå. AFerry always has cheap prices and the latest special offers for Wasaline Ferries. 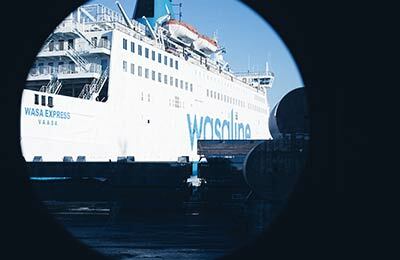 With Wasaline you can cross the Gulf of Bothnia every day. The new company operating under the brand Wasaline provides passenger/vehicle and freight transportations. Wasaline is owned 50/50 by the city councils of Vaasa and Umeå. During the short ferry crossing, just four and a half hours, you will find comfortable seating, bars, cafés and everything you need to make your ferry journey relaxing and pleasant. You can enjoy a quick drink or snack in one of the onboard restaurants. Visit the duty free shop and find a wide range of souvenirs and essentials at great prices. When you use Wasaline you are bound to have a relaxing and enjoyable journey. You can book your cat or dog on board a Wasaline ferry with AFerry. Pets must be declared at the time of booking because there is a limited number of pets allowed to be on board. And there is only a limited number of cabins that accommodate pets. Animals are allowed only in areas specifically reserved for that purposes or in a pre-booked pet cabin. Animals are not welcome to restoration areas, so please bring own bowls for water and food. For country-specific import restrictions, please consult your veterinary. How long before departure should I arrive for Wasaline?